28 years ago I was on an early morning train to Greenwich making my way to the start of the London Marathon. The carriage was packed with competitors. “How have you prepared for the big race?” I overheard one ask of another. “I packed up cigarettes on Thursday!” came the reply. I recall this conversation as I think of those readers preparing to take part in St Catherine’s Hospice Care’s Three Peaks of Yorkshire Challenge at the end of the month. Though labelled as a walk it has all the elements of a marathon and therefore demands rather more consideration than adjusting one’s lifestyle a few days before the challenge. In the information provided by the organiser participants are advised to work on two types of training – general fitness three times a week for 30+ minutes; and mountain endurance fitness once a week for 3 hours plus. Here my focus is on the second type of training. In undertaking the Three Peaks Challenge you are committed to spending a great amount of time on your feet. Developing a programme that includes local walking routes is specifically mentioned in the guidance. These training walks provide an ideal opportunity to try out new boots and test new gear. 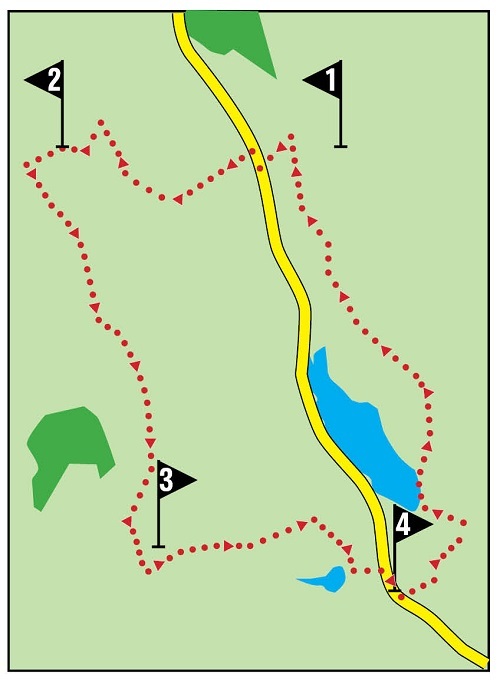 The route described below has a number of merits as a training walk. First it is local to St Catherine’s so not a great deal of time is used in getting to the start. Overall the route is straightforward so navigation is relatively easy. Finally while not the limestone country of the Yorkshire Dales it has a similar feel to sections of the Three Peaks Walk. leading out onto the moor. The track is initially stoned and of vehicle width for around 800 yards where there is a turning circle. It then becomes a wide wet moorland path until it "disappears" into a reedy area of marsh. Follow the faint path leaving the marsh on its right hand side. Although not definite to start with it becomes clearer as you progress and swings round to meet a fence just above a wooden stile. Over the stile, descend to cross a small stream and then commence the ascent of Great Hill on a distinct path to the summit. and then commences a superb ridge walk aided in great measure by the wide stone flags. but soon Rivington Road comes into sight and the track takes you down to Hordern Stoops. keep ahead on the broad track until you near the next wall about 400yds further on. 4. Turn right on the A675 and soon after turn left into Egerton Road. The lane dips down to the mill complex that once was Belmont Dye Works and a new housing development. then turns right through a small metal gate then almost immediately left up the farm road. When you reach the lane turn left. The lane drops down to the southern end of Belmont Reservoir. Bear right to reach Higher Pasture House. At the farm turn right between buildings pass through a metal double gate. return to Crookfield Road car park in about 30 minutes.